Read even more about my night in Cinderella’s Castle here. 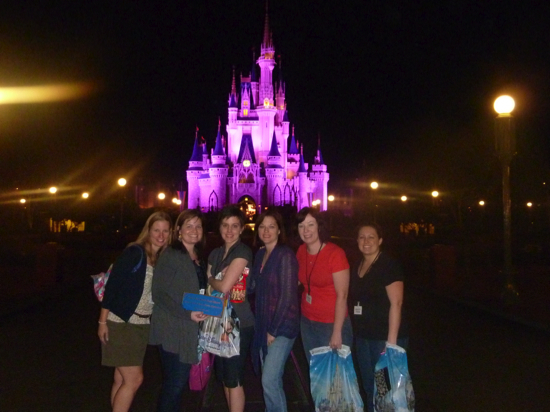 Last Friday my friend Andrea won a night in Cinderella’s castle. I was sitting at her table when she won and was thrilled for her! 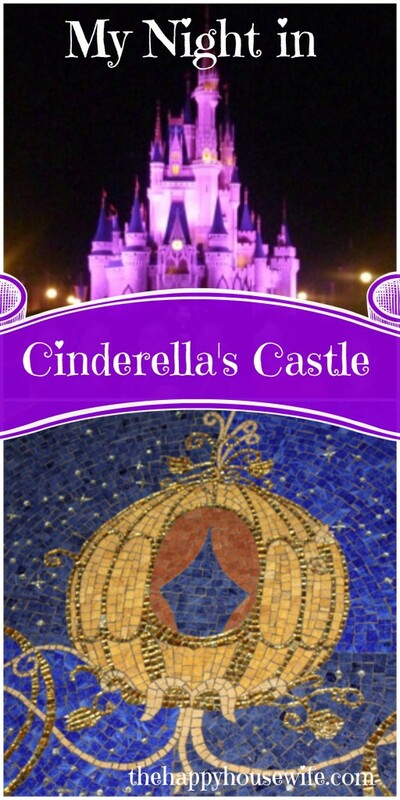 I assumed she would be coming back to the Magic Kingdom with her family and spending a night in Cinderella’s castle until I learned that she would be going there that night! I was truly excited for her, as she has three boys and I knew they would never want to do such a “girly” thing. I’m putting you and Amy down for tonight. You want to I’m sure, right????!! It was all I could do not to squeal with excitement during the conference. I was going to be spending the night in Cinderella’s Castle!!!!! I would say something about dreams coming true… but I honestly never thought you could even stay in the castle. 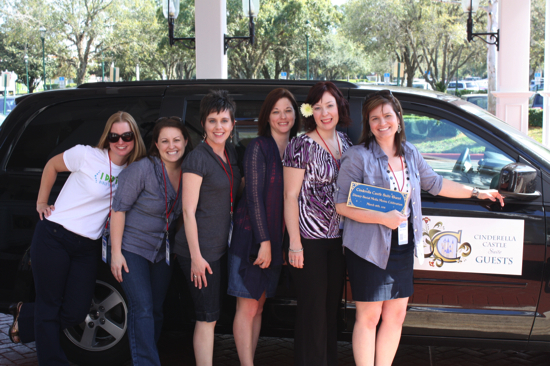 We packed our bags that afternoon and at 4pm we met our carriage aka minivan. Accompanying Andrea on the trip were Amy, Briana, Amanda, and Crystal. Our driver Sean, started telling us about our evening. 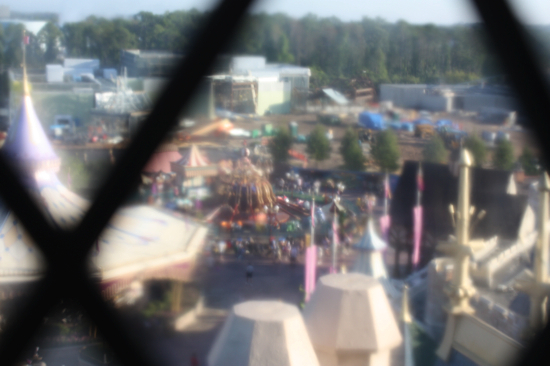 We would arrive at the Magic Kingdom and could do whatever we wanted. Ride the rides, hang out in the castle suite, shop, eat, it was up to us. We were assigned another guide, Steve, when we arrived through a back door at the Magic Kingdom. 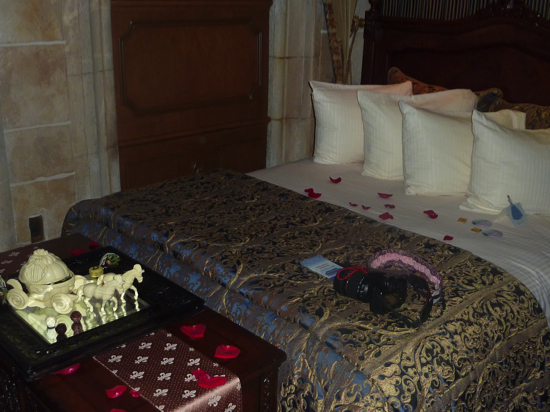 We quickly learned that staying in Cinderella’s Castle suite was a pretty big deal. 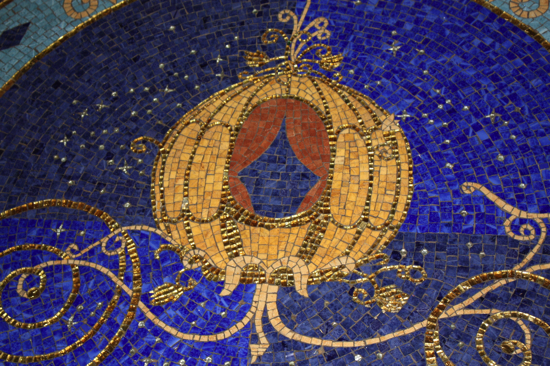 There is only one room in Cinderella’s Castle and you can’t buy it. The room is given away randomly throughout the year. In the Year of a Million Dreams they would surprise one family a day with a night in the castle. Now, the room is given away every two weeks or so. The Castle Suite has only been used 600 times. I don’t think any of us knew what to expect when we started our castle experience. The rest of the day unfolded like a dream. Steve was a walking encyclopedia of Disney knowledge, he shared stories and pointed out little details in the park that I had never noticed before. Steve was also our human “fast pass.” If we wanted to ride a ride, Steve would walk us in the back entrance and we would get right on… no waiting! It was amazing. On every ride Steve would share with us the story of that ride. Since Disney was built by movie makers and not theme park designers every single ride tells a story. It was fun to hear these stories and learn more about the people who built this park many years ago. But, since many of you know a lot about Disney I’ll get straight to the photos. 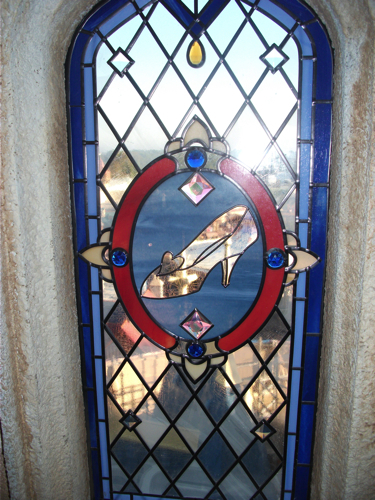 We took several hundred between us, so I tried to find some of my favorite, and some that give you the best “view” of Cinderella’s Castle suite. I’ll share in another post soon some of the Disney facts I learned from our guides. Two of our amazing guides, Steve and Kate. They are standing in the lobby of the suite. 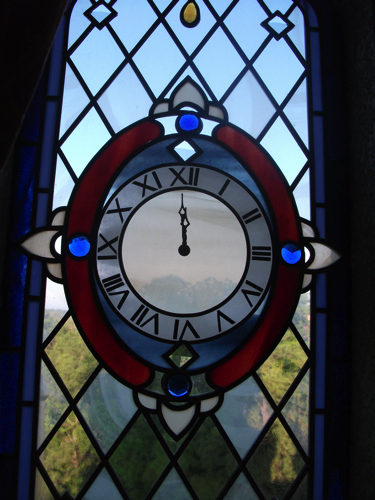 Notice what time it is on the grandfather clock? 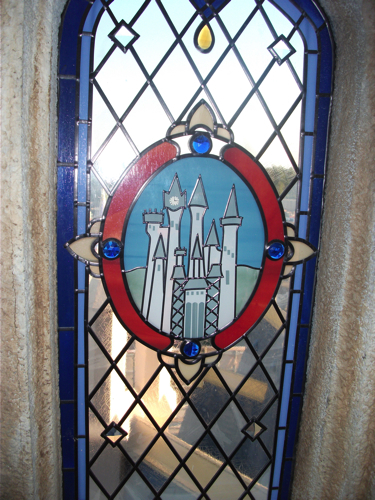 I’m sure you have seen these windows on the castle. Those are windows in the suite. 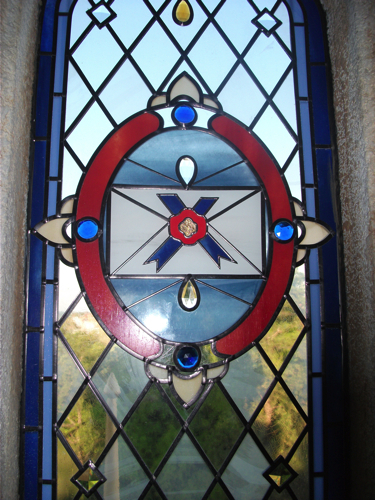 Same windows on the inside of the suite. 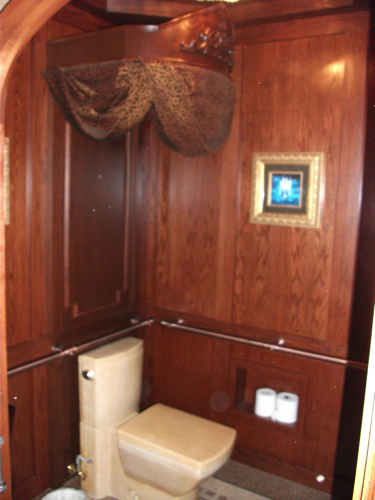 After you enter the lobby, you take a ride in the carriage to your room. When you step out of the carriage you are in a beautiful entry. 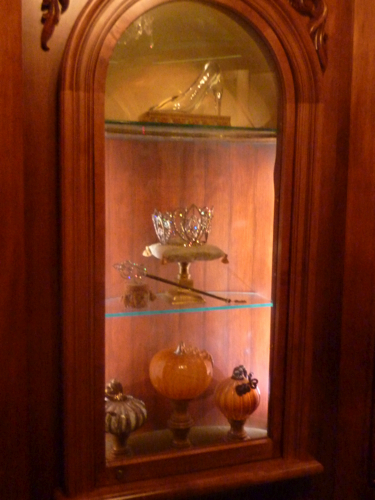 There is a display on the wall with some of Cinderella’s favorite things, her glass slipper, crown, scepter, and three pumpkins, which were a gift from the Fairy Godmother, so she would never forget her humble beginnings. 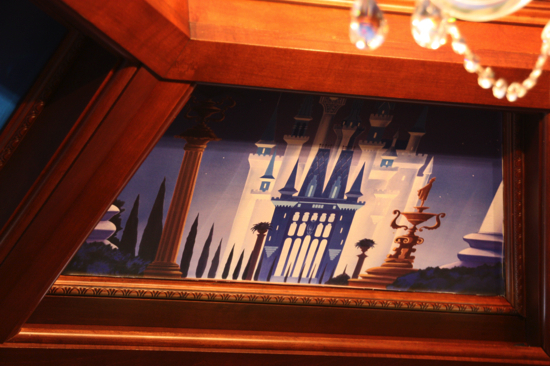 If you look up in the entry area you will see several images from the Cinderella movie. 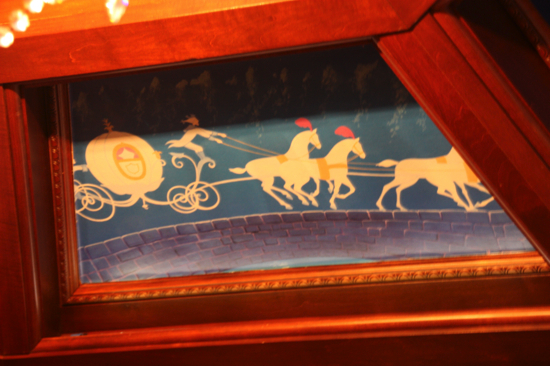 On the floor is a tile mosaic of Cinderella’s carriage. It is made of over 30,000 tiles including tiles made out of gold and silver. Getting ready to go inside the suite. 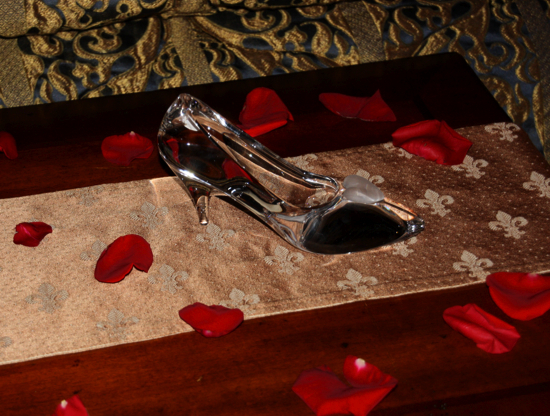 There was a glass slipper for Andrea to take home. 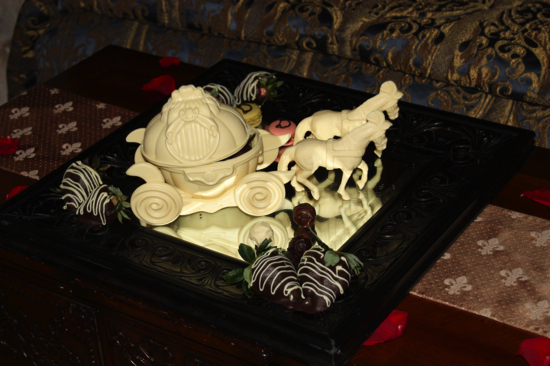 White chocolate carriage filled with chocolate covered strawberries. 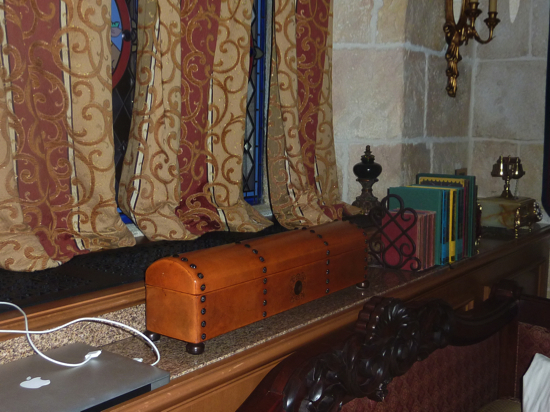 Telescope from Captain Hook, books on loan from Belle, and MacBook Pro on loan from the bloggers. 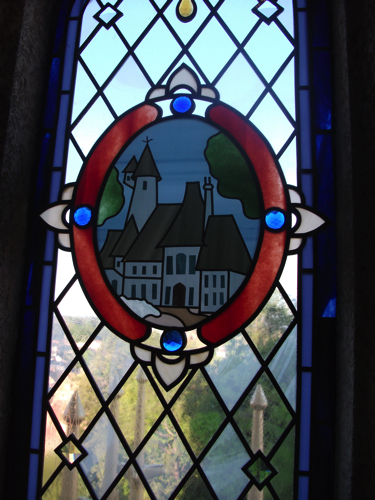 There are a series of stained glass windows that tell the story of Cinderella. 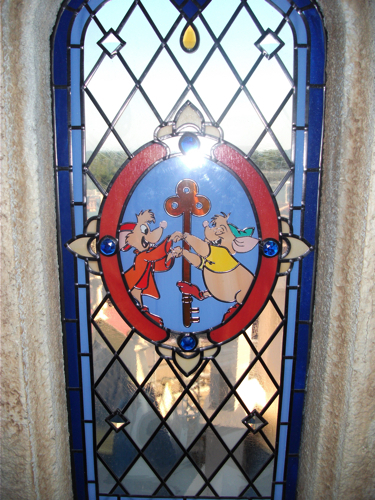 It is hard to get a good view from the caste suite since all the windows are stained glass. This is the television in the suite. To turn it on you push a button on the magic wand. Tinkerbell flies across the mirror and it turns into a television! 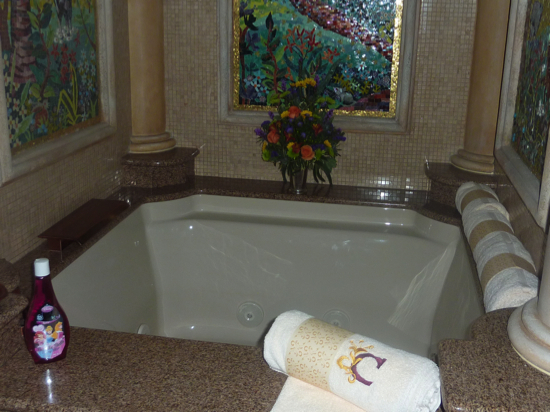 The bath tub, notice the princess bubble bath. 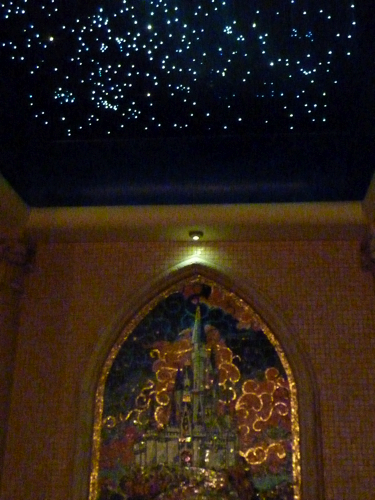 This is the ceiling above the tub in the bathroom. The lights twinkle like the stars. 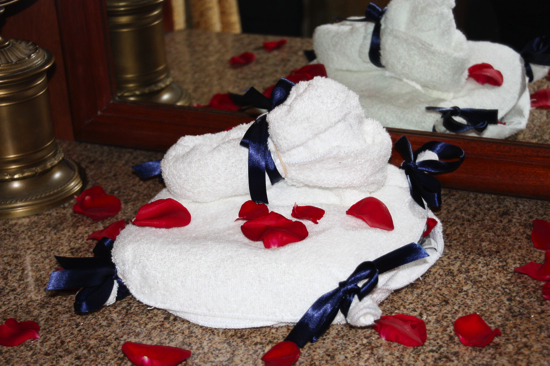 A glass slipper made from a towel waited for us in the bathroom. Would you expect anything else in a princess bathroom? Yes, the toilet is a throne. 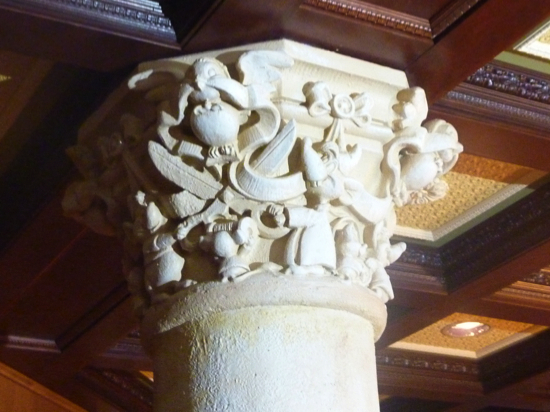 There are columns inside the suite. They are all decorated with the story of Cinderella. 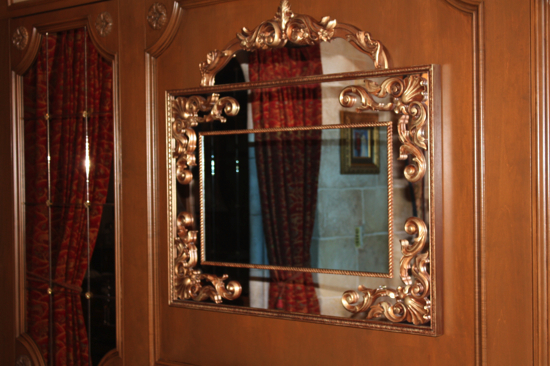 The one thing that amazed me about Cinderella’s Castle suite and all of Walt Disney World is the attention to detail. I’ll be sharing more about that later this week, but I’ll leave you with one more observation. 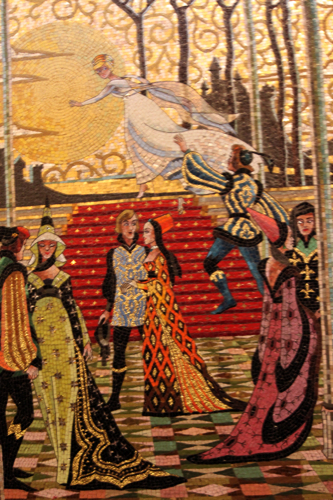 One of the first pictures in this post is a tile mosaic that is in the walkway of the castle. Thousands of people walk by it every day. Take notice the checkered floor pattern in the mosaic photo. 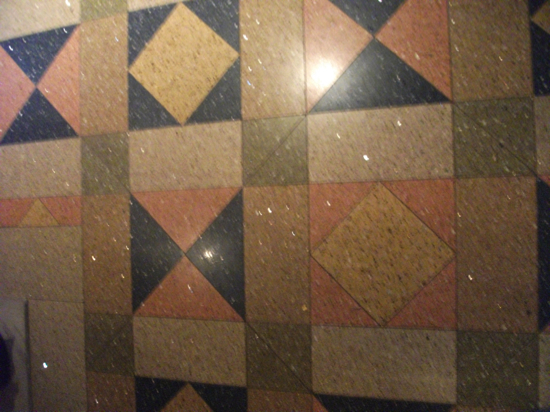 This is the floor of the suite, does it look familiar? It is the same floor as the mosaic! Nothing you see at Disney is an accident, it was all carefully planned by the Imagineers who designed this park. 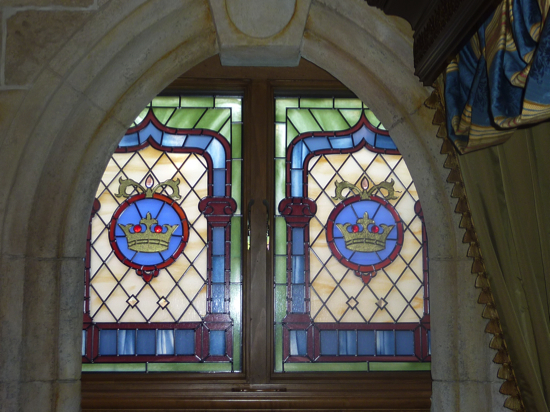 It was fascinating to learn about these details during our stay at the castle. I’ll write more later this week about our stay and the fun facts I learned about Disney! Disney… at 2am, the only ones left in the park! I had no idea any of that existed inside the castle. 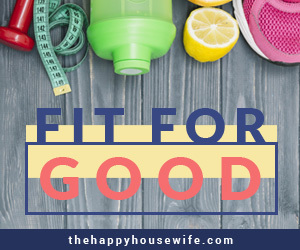 What an awesome opportunity for you and your friends. Very nice! This is my dream and a dream for my girls! I hope that someday it will come true. I am so glad that all of your wishes came true that night! What a great night. I just LOVE the story you tell with these beautiful pictures you took! Congratulations to you! You were so cute when you realized it was your ticket number they called! 🙂 Experience of a life time! Waaay cool! What was the suite like? How big? How high up? Multiple beds/bedrooms? Need more details! Okay… I’ll post more later this week! 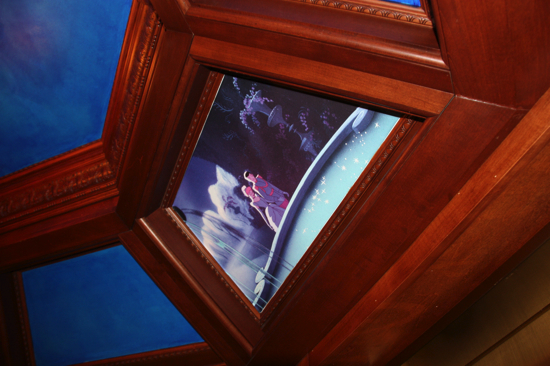 As a former Cast Member who worked there during the Year of a Million Dreams – thanks for sharing the beautiful shots! I never got to see the inside and I am glad to see that it is as beautiful as the rest of the park! 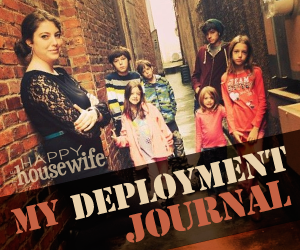 I literally teared up reading your story – that has always been my dream! I grew up in Fullerton and went to Disney weekly with our annual pass, and always hoped my parents would leave me behind so that I could stay the night. What an amazing experience for you! I am a divorced single mom of three boys under four, and this summer will be the first time I can take the twins and my oldest together to the park. I can hardly wait!!!! So so fun living through your pictures!!! Thanks for sharing. What a great memory! Seriously, I’m so happy for you guys. What an amazing experience! Oh this is coool! 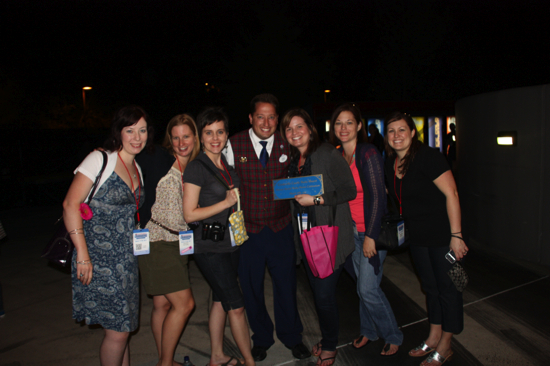 My whole family was in Disney summer of 2008. My daughter was 4 1/2 and the one thing she wanted to do was meet Cinderella. But, I hadn’t been able to figure out how to make it happen. Our second day at Disney we were standing around trying to decide about dinner and waiting for the older kids to get off a ride when STEVE walked up and asked if he could help us. A few minutes later he was setting up a special appointment for my daughter to meet Cinderella! I will never forget that meeting. I know it was his job, but he was very nice about the whole thing and it absolutely MADE the vacation for my daughter. No way!!!! That is awesome. Steve was a great guide and he made everything magical! Steve is the absolute best! So cool to find someone else he has reached out too. He really was my favorite part about the entire thing. He’s like a walking encyclopedia! This is just about the most awesome girl friend trip ever! I LOVE that tub and that tinkerbell turns your mirror to a tv. Very cool!! Disney IS the happiest place on earth! Thank you for sharing the pictures so we can all see what it looks like! Wow!!!! That must have been such a fabulous experience. My Aunt is a cast member there. I will have to ask her if she has ever been into the suite. She is always telling us we have to come down. However, a trip for FL with four kids from MI is just not in the budget right now. Hopefully in about two years. Get a disney visa and use the accumulated funds on your trip. Between trips, save EVERY $5 bill and don’t touch that account once you’ve deposited it! Saved more than $10,000 in three years! That’s alot of Disney! The can money always goes into the same account (for those who live in a state without mandatory deposit on cans, we prepay 0.10 for cans and bottles in MI and get the money back when we return them). 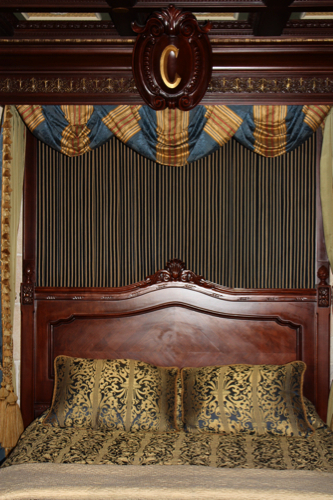 We bought into the Disney Vacation Club and stay in beautiful accommodations for about $35 a night. 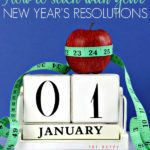 Look for resales to help your budget. Hope this info gets you to disney sooner! Oh such and amazing trip and what lovely photos. Thank you for the mini trip to the castle. I’m glad that you had a wonderful night. P.S. I didn’t realize that you were at the conference! I’m sorry we didn’t get an opportunity to meet. Phenomenal photos… what an enchanting experience. I’m so happy that such a wonderful group of women got to share that time together. Wow! Double WOW! That is SO awesome! Thank you so much for sharing your experience! It’s wonderful to get a peek inside the suite! I know y’all had the best time! Congrats! What a fabulous adventure! 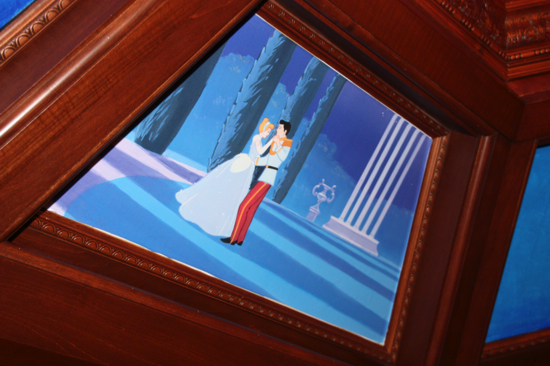 thank you SO much for posting so many pics of the little details and the amazing suite. The chocolate carriage blew me away! Could it get MORE magical than that? Seriously. So glad you girls had this experience together! Great pictures of the suite! Glad you all enjoyed it so much. Definitely one of my dreams to stay in the castle someday! sounds like an amazing experience. awesome photos! Thats amazing. What are the rules about going in the park after closing? Do you know if they are still giving out this free night to a random guest? I don’t know. I can try to find out for you. Wow, you have taken beautiful photos and paid attention to detail. Spending a night there takes the cake, I mean what a life time experince to have. I am sure you will cherish those memories spent and congrats on winning the the dream. It’s truly amazing! Please post more photos as we are all waiting for more. Looks like fun! Thanks for the photos. Do you have the contact information on where he was able to book the room? 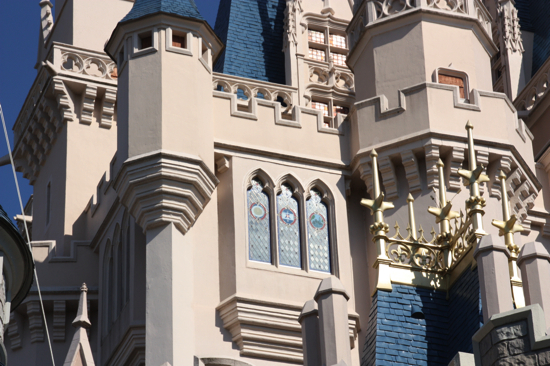 Can you wonder around the magic kingdom and/or castle at night? Wondered how your friend was approached and where she was when it happened? 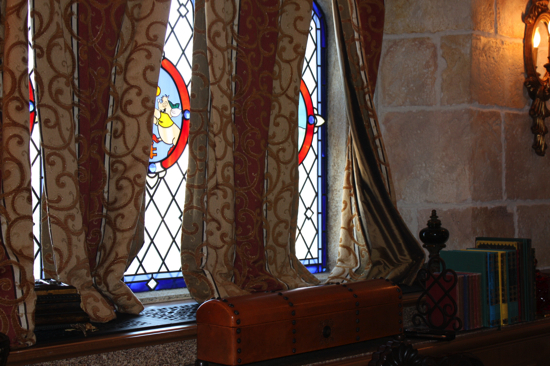 I’m wondering how does it work if your staying in the Cinderella suite and the park closes for the night… Do they make you stay in the castle? Is the rest if the park off limits till morning?? When the park closed, did you guys have to spend the rest of the night in your room? I was so amazed to read about your night. I emailed Disney and asked the where and how does one be so lucky. Where could I even try to win something special posh. Evidently you either win a night or get invited. I would do just about anything to try but where. Well, everday there is a drawing dailyand a night is given away. Where do you fill this out? I would be first in line. And when do they draw the name of a very very lucky individual? I would just love to touch the linens. Anything!! 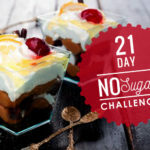 I just made a comment and researched a bit and there are no more sweepstakes. I read that the nights are reserved for charities and occasional drawings. I was definitely more than OK with that after reading that a precious little girl was dying of cancer and it was her wish to stay there. I would never ever want to take a night knowing there is a sick little princess that wants to stay there. Yah there are people who NEED to be there more than my fam. Winning a night is cool though. Thank you for sharing your photos they are beautiful. My dad was one of the head electricians when Disney was built. 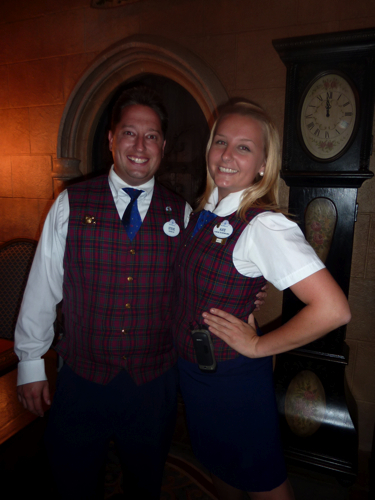 He was in charge of three projects – Swiss Family Robinson Treehouse, It’s a Small World (which he refused to ride. Who can blame him after listening to that song for hours and hours), and Cinderella’s Castle. Oh the stories he would tell, but he was always proud of the small part he had in creating the Disney “magic”. It’s always been my dream to stay one night in the castle.